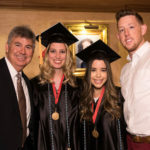 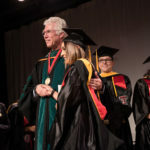 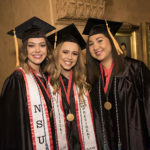 On May 18 and 19, Texas Tech University Health Sciences Center El Paso (TTUHSC El Paso) celebrated the graduation of its sixth class of physicians and ninth class of nurses. 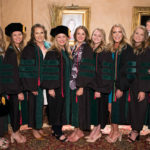 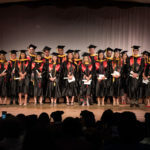 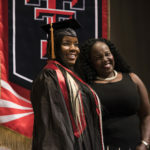 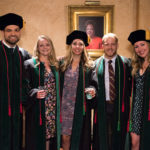 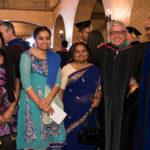 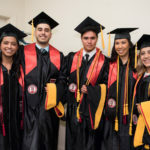 Commencement weekend was also special because TTUHSC El Paso graduated its inaugural class from the Graduate School of Biomedical Sciences (GSBS). 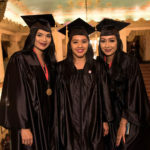 The GSBS commencement, held Saturday afternoon at the Plaza Theatre in Downtown El Paso, included five students from the school’s Post-Baccalaureate Certificate program and 23 students from its Master of Science (M.S.) 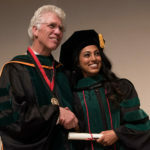 in Biomedical Sciences program. 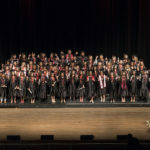 The M.S. 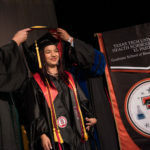 students began their studies in 2016, after the Texas Higher Education Coordinating Board approved the addition of the M.S. 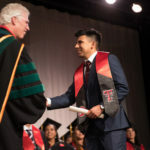 to TTUHSC El Paso’s degree offerings. 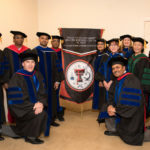 Before that, TTUHSC El Paso’s graduate students completed their coursework in El Paso but officially earned their degrees from TTUHSC in Lubbock. 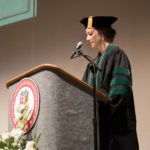 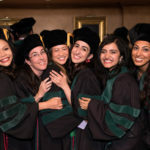 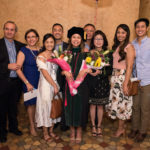 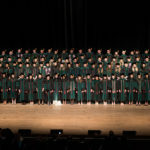 At the Paul L. Foster School of Medicine commencement ceremony Friday evening, also at the Plaza Theatre, 92 medical students received their doctoral hoods. 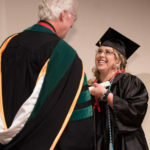 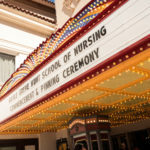 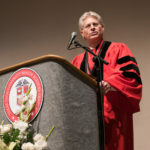 On Saturday morning, the Gayle Greve Hunt School of Nursing held its commencement ceremony at the theater, honoring 60 graduates who received bachelor’s degrees in nursing. 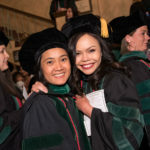 The graduates will start a new chapter in life across a variety of career fields or residency programs. 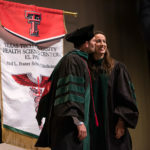 Some GSBS graduates are moving on to TTUHSC El Paso’s own Paul L. Foster School of Medicine. 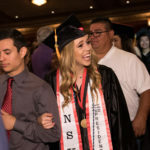 For Nora Ortega, a GSBS M.S. 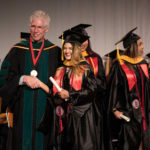 graduate, it was hard to put into words what it meant to finally get the degree. 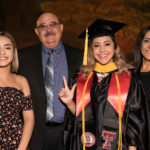 As she accepted congratulations from her family, she hugged her father, Antonio Ortega, for several minutes and sobbed in his embrace. 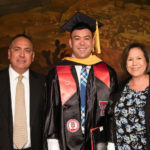 Saturday morning, Nicolas Gonzalez graduated with a Bachelor of Science in Nursing (B.S.N.). 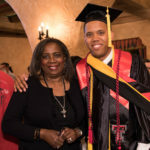 He was part of the 24 percent of males in the 2018 cohort—the largest number of males to graduate from the nursing school since its inception. 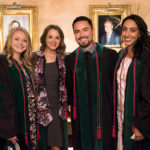 Gonzalez is following a long line of family members who chose the nursing profession. 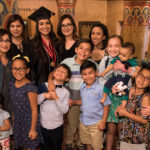 Maria Garcia, who also graduated with a B.S.N., said the 16 months it took to get the degree went really fast, and she was thankful for the support of her husband and two children. 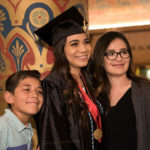 Garcia is looking into working in critical care before going back to school in about three years. 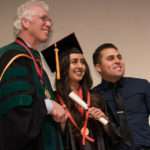 Writing “M.D.” after their names on a paper following their commencement on Friday left PLFSOM graduates Nabih Diab and Jesse Fike in a contemplative mood. 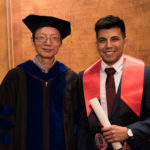 Diab said there were good times and bad times on the journey to getting his medical degree, but it was definitely worth it. 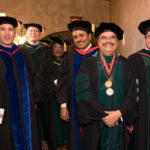 For additional photos from TTUHSC El Paso’s spring 2018 commencement, visit our Facebook page.